How did a Dallas hospital miss Ebola? Maybe we shouldn't be surprised. How did a Dallas hospital miss Ebola? Maybe we shouldn’t be surprised. The first “wild” Ebola case in the United States has occurred in Dallas, Texas. 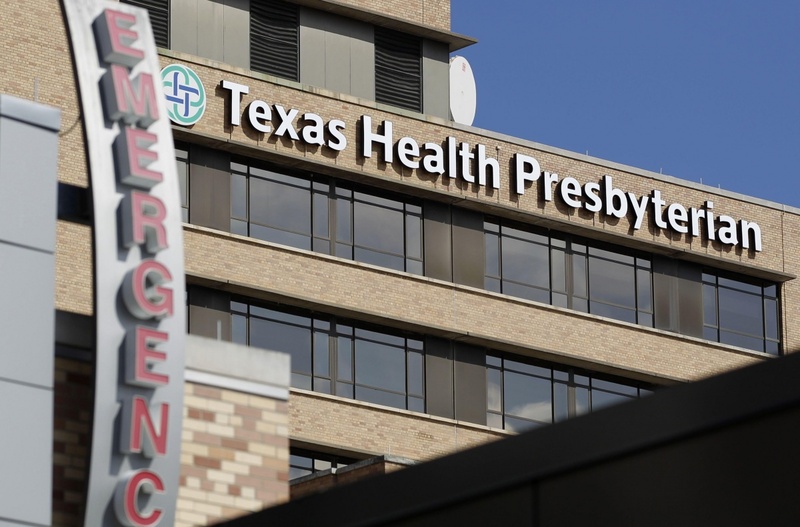 The patient, who is from Liberia and had contact with a pregnant Ebola victim in his native country, was initially sent away from the emergency department (ED) of a Dallas hospital after reporting there with viral symptoms. He told the triage nurse that he had just arrived from Liberia, but despite this was sent home. How could this happen? The media are reporting that there was a failure of communication between the nurses and the doctors but in truth we don’t know exactly what happened. Having worked in hospitals with busy EDs (though not as an emergency doctor) I can identify some factors that might have been in play. 1. Common things occur commonly, rare things occur rarely. Don’t look for zebras. We are taught this in medical school. If it looks like a horse and acts like a horse, most of the time it is a horse, and not a zebra. The principal as it applies in this case would be: even with this patient’s travel history, statistically speaking the most likely diagnosis is still the common cold. But this saying can lull doctors and nurses into complacency. This maxim does not deny the possibility that a zebra will come into the ED, and medical personnel should always keep the possibility that they are dealing with a zebra in the back of their minds. 2. ED overload. EDs are still the primary care entry point for the majority of patients in this country. We lack easily accessible primary care facilities. EDs are the go-to place for all kinds of acute illnesses, even minor ones. The result is that EDs are overloaded with patients with illnesses that would be better treated in other settings. I remember days when ED patients were stacked in the hallways on stretchers. The ED docs were running around harried and hassled without any time to even think about what they were doing. Such stress is not conducive to good communications and good diagnostic skills. People get sent home that shouldn’t be sent home, and people get admitted that shouldn’t get admitted. 3. Hospital romper room. Rather than giving in-services on detecting Ebola virus, hospitals torture medical professionals with hours and hours of elementary school level computer-based “education.” Courses on identifying different types of electrical sockets, what code pink vs code yellow means, compliance training, module after stupid module. And because no one can remember what a red electrical socket is for more than a year, the identical training and testing are repeated every single year. All this “education” and yet not a single in-service on Ebola or other threats. Hospitals aren’t interested in education. They only want to fulfill the requirements that have been imposed on them by regulatory agencies in order to maintain certification. 4. General knowledge. Doctors and nurses are well-educated, but may be suffering from the general lack of knowledge that afflicts the overall U.S. population. For example, in the McCormick Tribune Freedom Museum poll only 8% of Americans polled could name at least 3 First Amendment freedoms, whereas 40% could name 2 of the 3 judges on American Idol For a depressing litany of things Americans don’t know, see this. Or watch episodes of Jaywalking with Jay Leno. As about half of Americans don’t know where New York is, how many have even heard of Liberia? It’s possible that no connection was made between a febrile patient from Liberia and Ebola due to lack of knowledge of geography and current events. Remember Sarah Palin (among others) didn’t even know Africa was a continent. I’m not trying to make excuses. Sending this patient home was a horrible mistake. But in the U.S. health care system we reap what we sow, and we are making a mess of it. It will only get worse as the medical field becomes less and less attractive to our best and brightest. David Mann is a retired cardiac electrophysiologist and blogs at EP Studios.